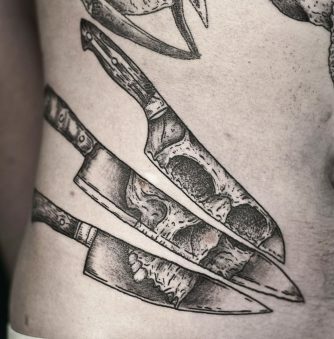 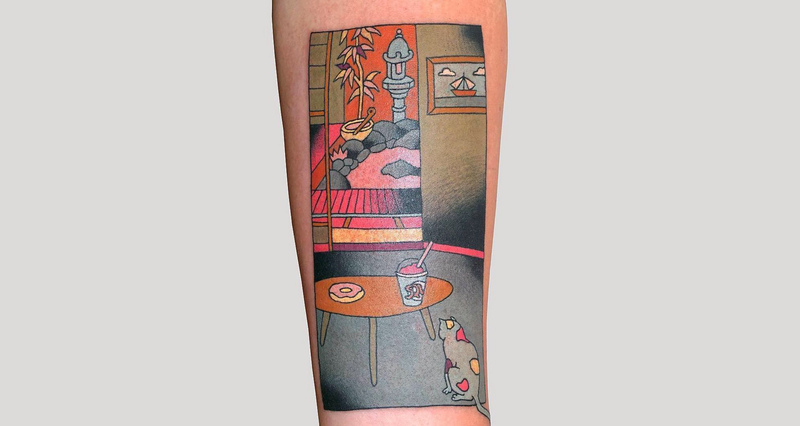 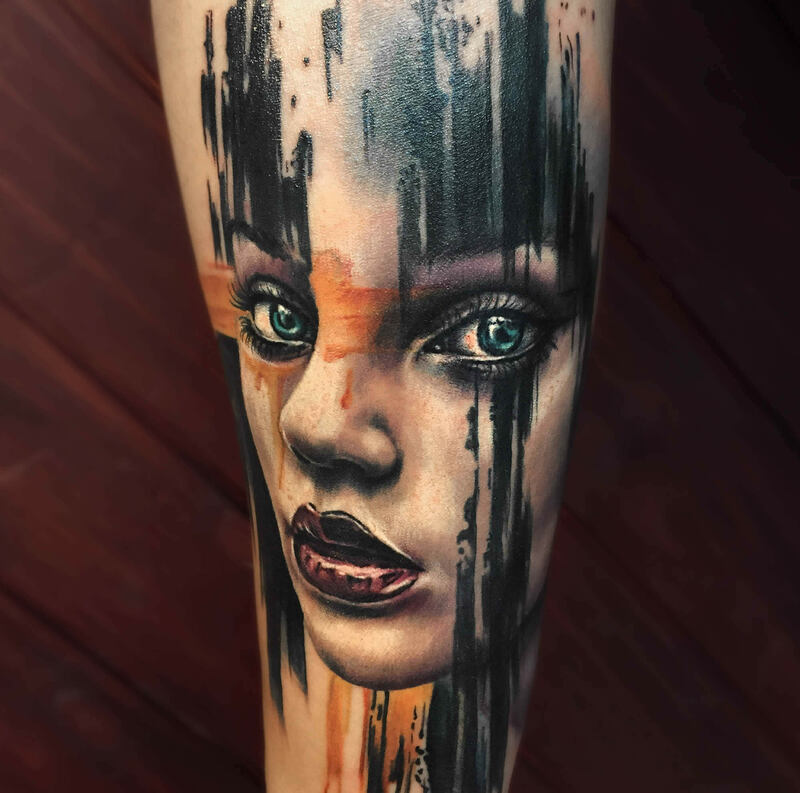 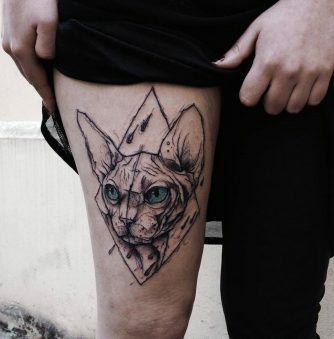 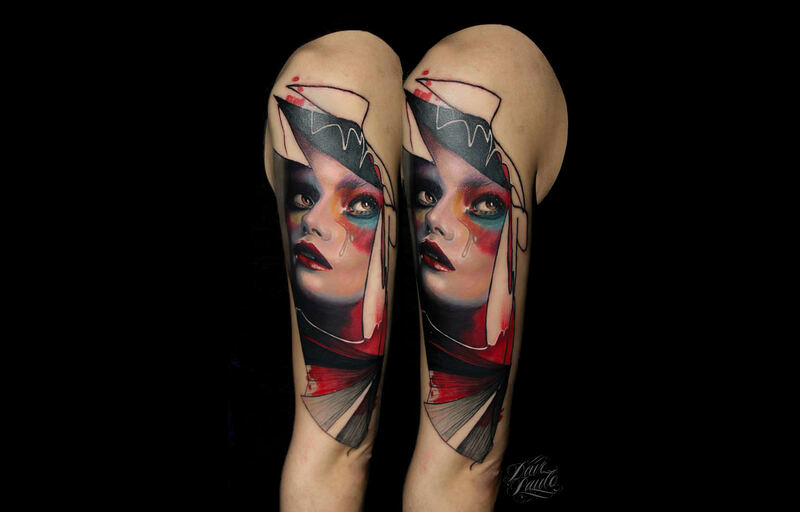 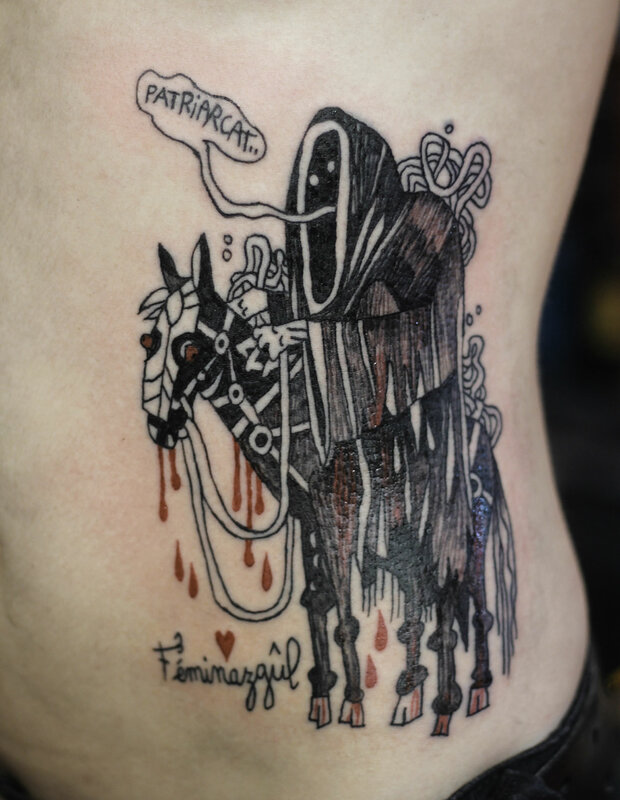 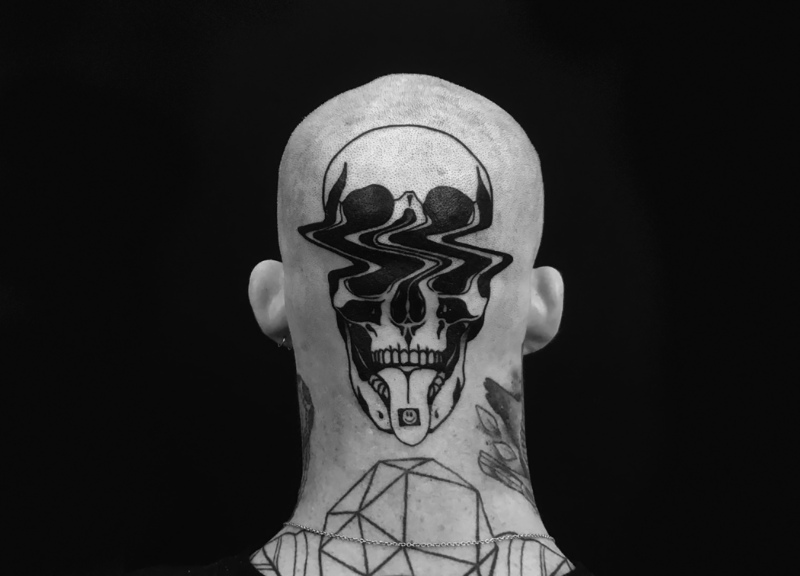 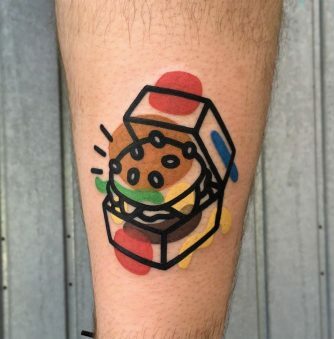 Faus­tine Tar­masz, aka Tarmasz, tattoos curious images onto the skin of her clients. 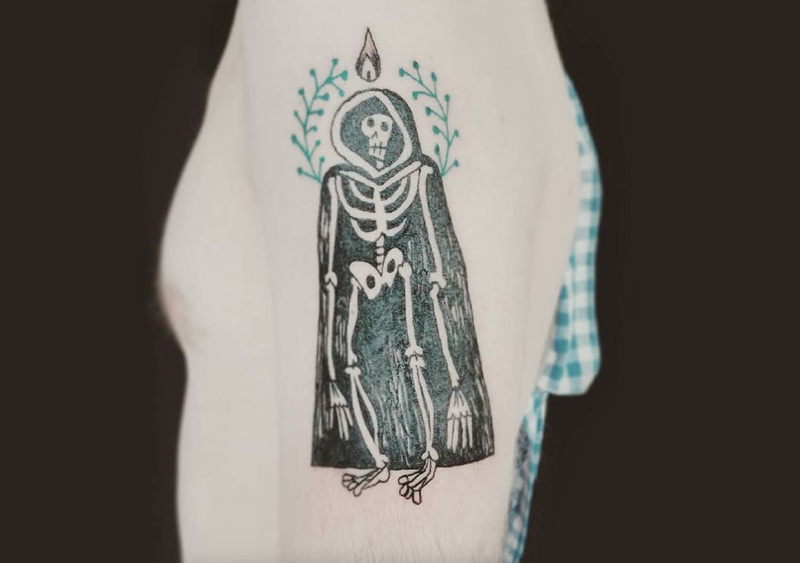 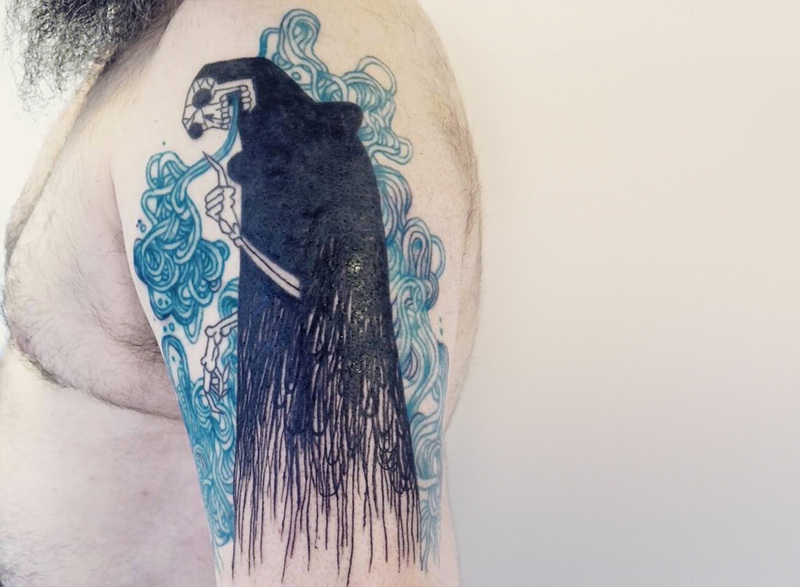 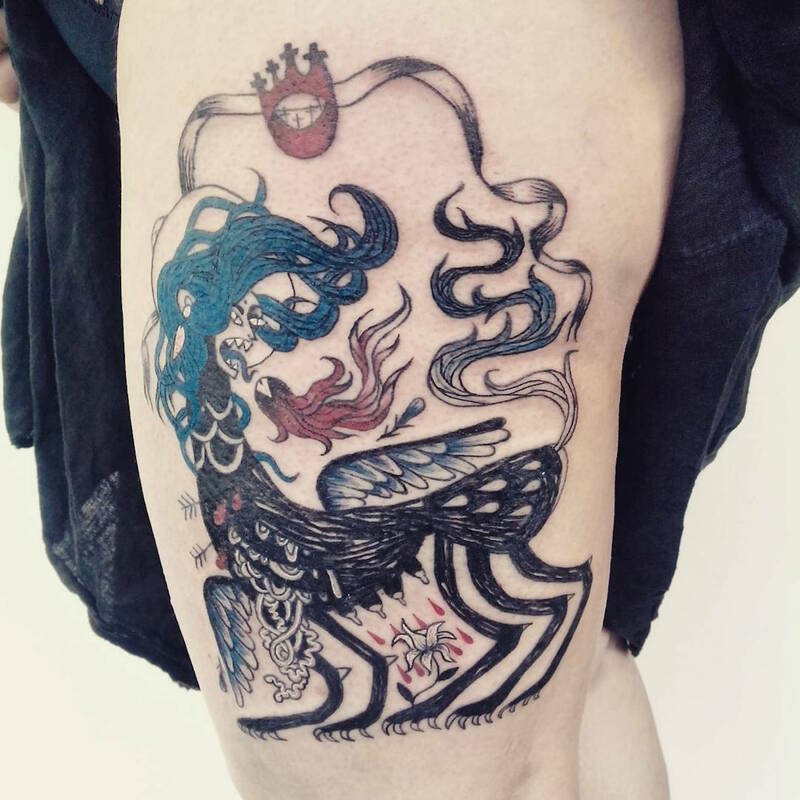 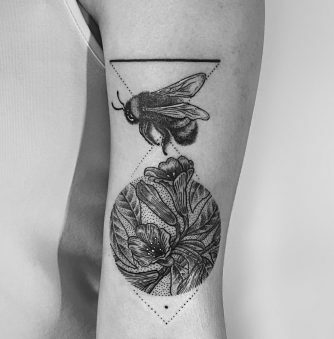 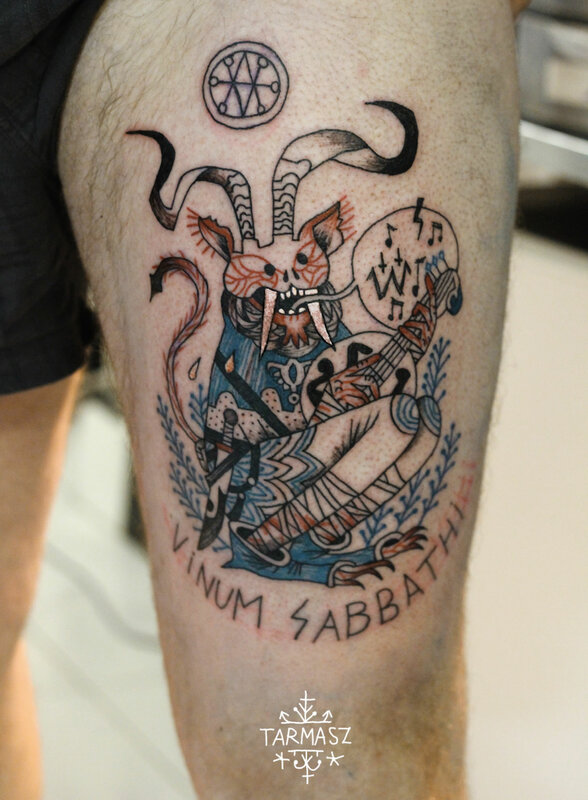 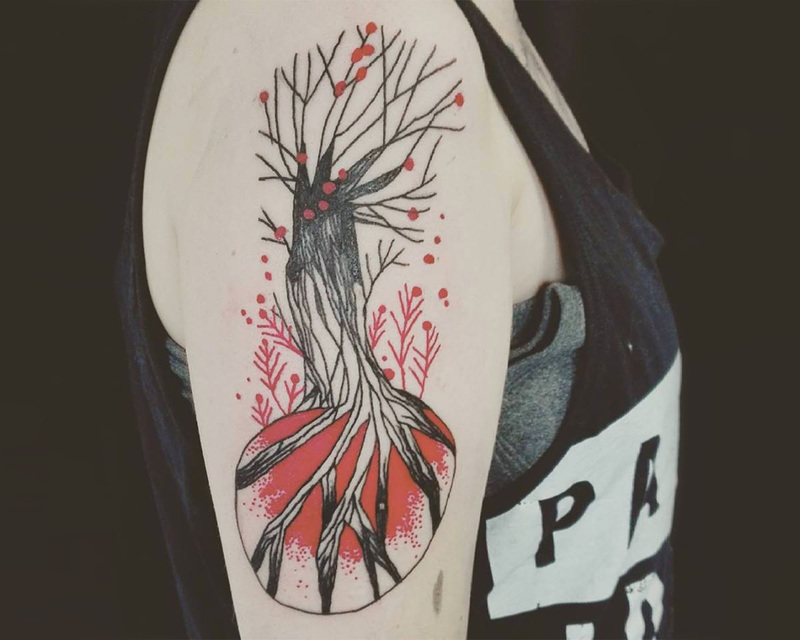 Inspired by mythology and the medieval arts, she translates their pictorial style into body art that, at times, evokes feelings of death and the occult. 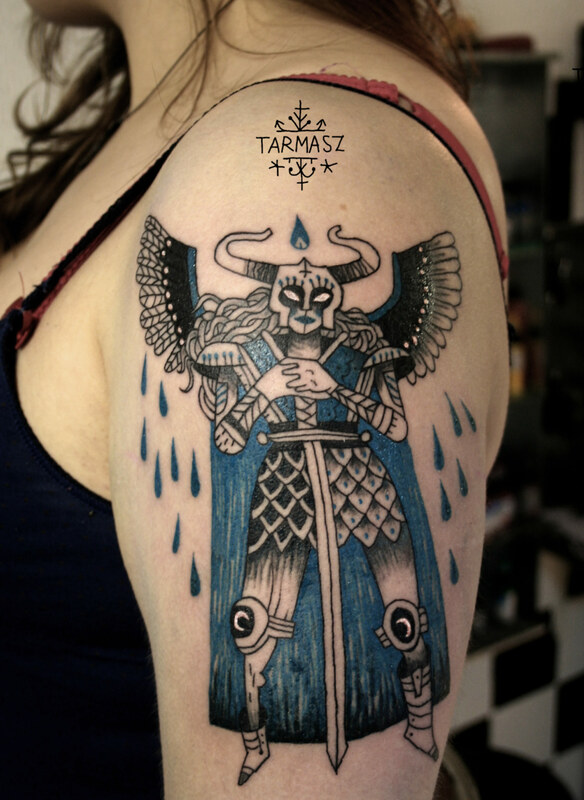 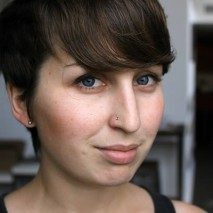 Tarmasz has created an inking style that’s all her own. 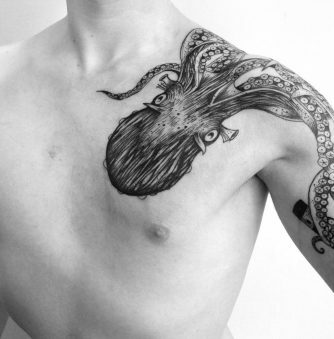 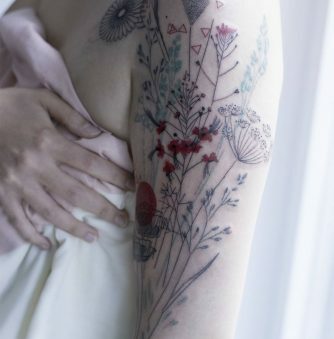 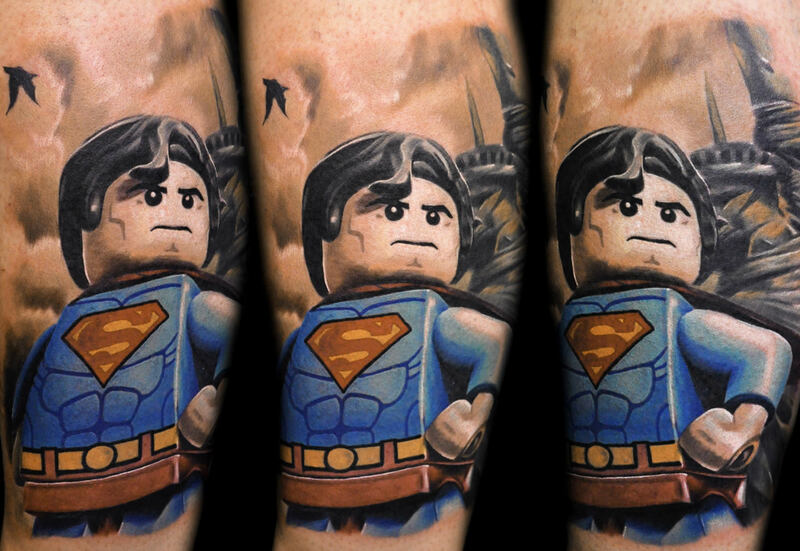 The tattoos don’t often include heavy outlines or gradual, feathered shading. 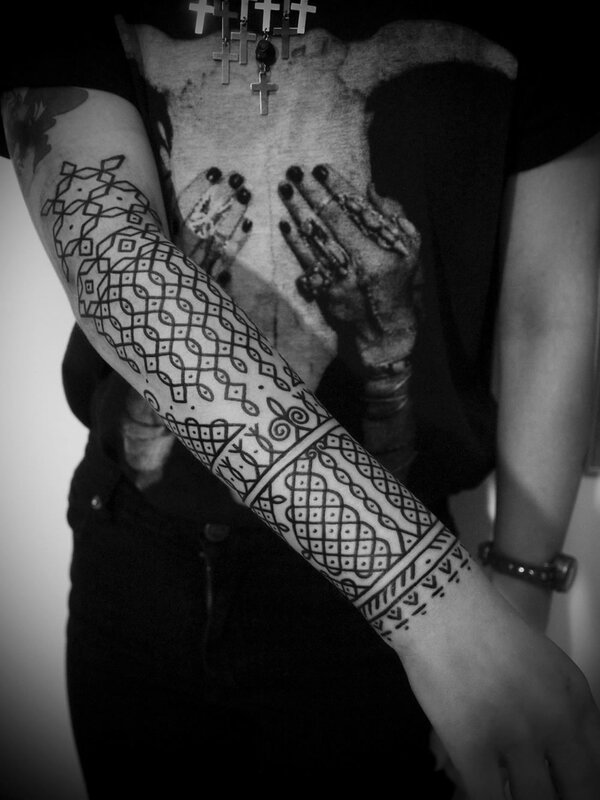 Instead, they appear as sketches, with gestural lines that mimic the look of a scribbled pen—only these won’t wash away.